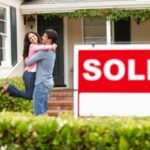 When it comes to finding a house for sale, the first thing that comes to most people’s minds is a picture of a single-family home. Single-family homes are among the most common types of homes, and they fit a wide variety of families. There are advantages and disadvantages to single-family houses for sale, however, so it’s important to weigh your options to decide if this type of home is right for you. One of the major advantages of a single-family home is the privacy. Unlike apartments, condos, and townhouses. Your home is completely detached and you don’t have to share walls with anyone. You may also have an attached garage and a backyard with a single-family house, which you typically don’t get with condos and apartments. Another advantage is that you have more control over the changes you make to the home. Single family homes aren’t like condos and townhouses. You can actually change anything on the exterior. There are downsides to buying a house that you’ll have to take into consideration, including price and maintenance. Single-family homes are often more expensive than condos or townhouses—even if they have the same square footageBe sure to plan your budget to buy a home accordingly. Houses also require more maintenance than condos and townhomes. While your building manager may take care of the landscaping, roof repairs, or siding replacement for a condo, you’re responsible for all those things if you own your own house. In looking for a houses to buy, you will find that single-families are the most common as well. Contacting your local real estate agent is the first step to take when you decide you’re ready to buy a single-family house. They can help you search house listings, and before long you’ll be living in your dream home. Want to know more about single-family homes?